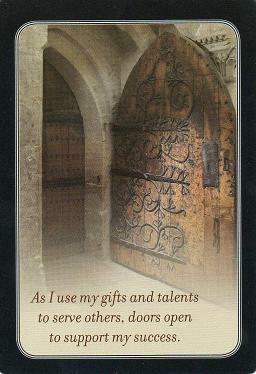 Deck of 50 inspirational affirmation cards. Reprogram your subconscious mind and create a life that honours your deepest desires by using daily affirmations that keep you focused on vibrant health, meaningful experiences, rich relationships, abundant prosperity and more. 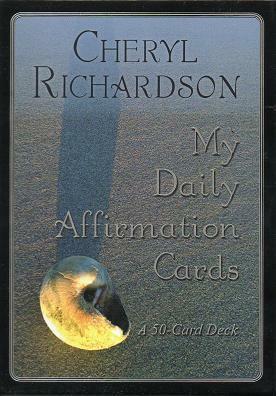 In this inspirational card deck, New York Times best-selling author Cheryl Richardson gives you the tools you need to strategically create your life by keeping your intentions firmly rooted in your conscious mind. Use these cards everyday and watch your life change foever! 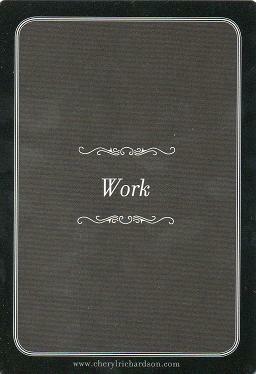 I've designed this card deck to support you in creating and living a great life. 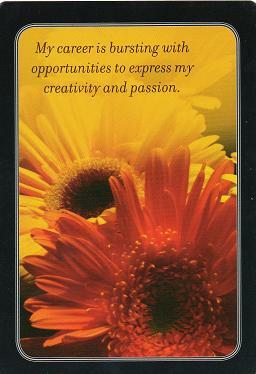 The cards are to be used on a daily basis to focus your attention (and intention) on the areas that need growth and support. There are seven categories to work with: Relationships, Physical Health, Prosperity, Spir­itual Health, Work, Environment, and Emotional Health. 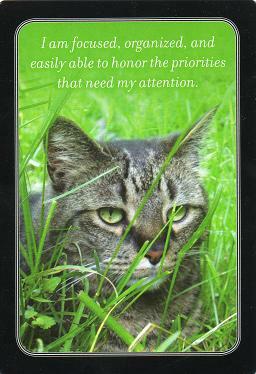 Choose a category you'd like to focus on or a set of cards from multiple categories that speak to what you desire most. Next, read, write, and repeat the affirmations every morning, noon, and night. Imagine that each time you either say an affirmation, write it down, or read it quietly to yourself, you're deepening a groove in your mind that will bring that intention to life. Keep the relevant cards in view throughout the day so you're continually reminded of what you want to create. Using daily affirmations is a powerful way to design the life you most want. Enjoy!"